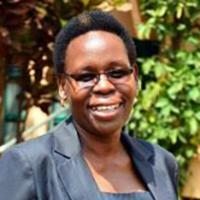 Mrs. Stella Ayo-Odongo, Executive Director of the Uganda Child Rights NGO Network (UCRNN), is a Custodian of the AfricaWide Movement for Children (AMC) representing Eastern Africa, and replacing former Custodian Eric Guga. Mrs. Stella Ayo-Odongo has worked in the development field for over 15 years and has particularly gained extensive knowledge and experience in advocating for vulnerable groups such as the elderly and children. In the last five years she spearheaded several advocacy initiatives at national, regional and international levels particularly on child rights concerns. Mrs. Ayo-Odongo has been extensively involved in technical services at national and regional levels. Some of these engagements include: evaluation of the child labour programme and facilitating the development of a national child labour policy for the KURET Initiative in Ethiopia, Rwanda and Uganda, evaluation of the mental health programme for Mental Health Uganda, Team Leader for the Child Protection Advocacy Report for ACPF, Team Leader for the Contextual Analysis on the Situation of Children for the International Child Support Programme, facilitating the development of a National Child Participation Guideline for Uganda, and contributing to the generation of a national Situational Analysis Report on the situation of children. She has an MSc degree in Development Management (Open University-UK) and an Honours degree in Social Sciences from Makerere University in Uganda, and has participated in several professional development courses in political and policy advocacy training, project planning and management among others.